Commuters are preparing for more options to get around as the A-Line begins service, but bus riders around the metro are worried it will leave them with fewer choices. “I think it’s going to be difficult for a lot of people,” said Kareem White, who rides the bus from the Montbello station every day. The Regional Transit District (RTD) will cut or change dozens of bus routes beginning Sunday to make way for the new train. “We definitely don’t want to duplicate service if were providing a new service that has more frequency and reliability,” said Tina Jaquez, a spokesperson for the RTD. 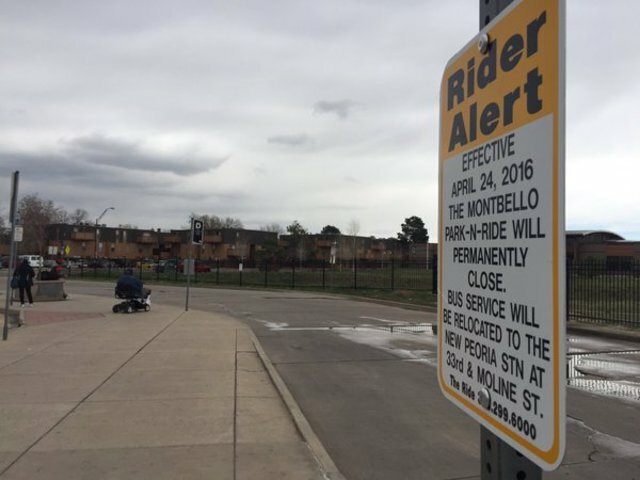 The Montebello Park and Ride will be shut down all together. Jaquez said riders will now be able to access a bus from the Peoria station, about two miles away. However, that’s a 40 minute walk for riders like Traci Washington, who doesn’t have a car. Jaquez said they held several community meetings before making their decision to close certain routes in order to get public input. She said people can continue to offer their input even after the changes. “We ask people to give it a try,” she said. However, riders like Andrea Shaw already know the changes will only further complicate their commute. Shaw lives in a halfway house where she say hundreds of others rely on routes 38 and 44, which will be among those that will change. Shaw hopes the RTD will reconsider some of the changes. “I think that they need to reevaluate,” said Shaw. Click here for a full list of impacted routes.